With a population of 3.2 million, Johannesburg is the largest city of South Africa. Being the site of a large-scale gold and diamond trade, the city is well worth a visit for anyone interested in South Africa’s history and major trade. Add the fantastic nature and wildlife tours in its vicinity on top of that, and you’ll for sure have an unforgettable experience! 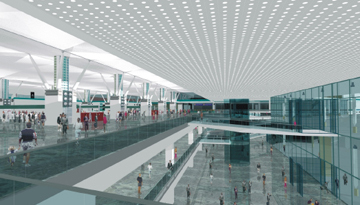 There are an abundance of cheap flight tickets to Johannesburg, so many so that it is the perfect point of entry into Africa with great onward flight connections. The first, absolute must on a trip to Johannesburg is a visit to its Apartheid Museum. Plan enough time for this moving museum, as you’ll need at least half a day to see everything. Also, Nelson Mandela’s first house can be visited in the city! In addition to that, it is possible to take a Township Tour to Soweto. However, we strongly recommend to not go there alone and to only use official operators! 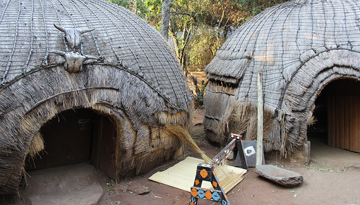 If you are interested into the local Africa culture, you can visit the Lesedi Cultural Village close to the airport and experience typical dance and food in authentic Zulu, Xhosa and Sotho villages. To get a great view over Johannesburg, check out the Top of Africa – Africa’s tallest building. And, of course, a visit to a gold mine should be on your bucket list as well while in Johannesburg. One of them is the Old Komraadi Gold Mine, which is located only 40 minutes from the city. Once you’re there, take a trip to the Kruger National Park, which is the largest game reserve in Africa and one of the greatest national parks worldwide. You can book guided tours here (safaris) or even explore the park alone! We also recommend the nearby Lion Park, where you can visit the lion cubs. It is best to travel to Johannesburg between October and December, as you will be greeted by the least rain and by nice temperatures around 30°C. There are many cheap flight tickets to Johannesburg which are available at best price. You just have to compare flight tickets to Johannesburg and book your cheapest flight tickets to Johannesburg which fits well within your budget. Discover Cheap flights to Johannesburg from Heathrow with these economy class offers at £499 return. 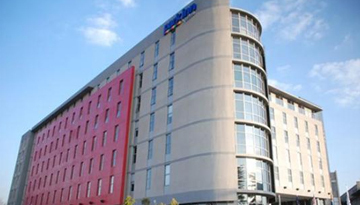 Park Inn Sandton has amazing offer which make the rental cheap with 4 star stay. Fly from London - Johannesburg & Stay for 3 nights with 5 star accommodation. Room Only.